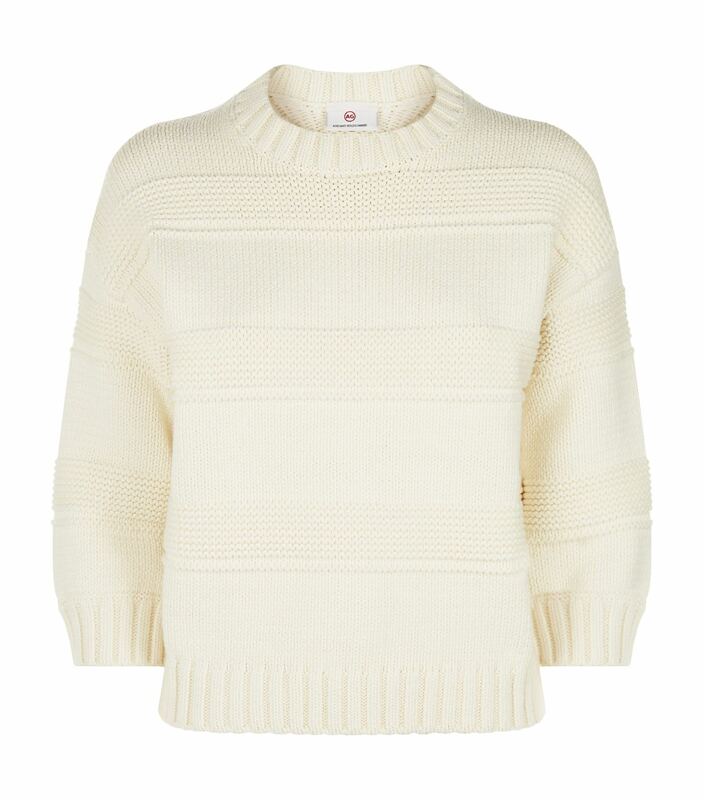 Woven in a chunky knit, the Sabrina sweater by AG Jeans has been crafted from a luxurious cotton blend. Fashioned with a round neckline, the cropped silhouette is finished with contrasting panels, lending the effect of textural stripes. Pair with the brand's jeans for comfortable off-duty days.